that thousands of ballet pointe shoes go to waste each year. Hand-crafted from ballet pointe shoes. Our artisan craftspeople take the used ballet shoes apart and re-purpose the quality leather soles and satin ribbon to make these one of a kind bracelets. For each bracelet purchased part of the profit goes to help the School of the American Ballet (SAB) students. We get our shoes from the School of the American Ballet, and for each bracelet purchased part of the profit goes to help students. 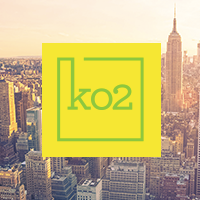 Ko2 Consulting provides strategic energy consultant services for large public corporations, non-profit organizations and private companies.